On February 13, 2016, Senate Republican Leader Mitch McConnell of Kentucky changed what could have been the course of history. A family friend of Associate Justice Antonin Scalia had alerted McConnell before news of Scalia’s death was public. So by the time Chief Justice John Roberts announced he had died, in a statement that Saturday evening, McConnell was ready with his own immediate statement. “This vacancy should not be filled until we have a new President,” McConnell said, referring to the upcoming November election and January 20 inauguration. President Obama had nearly a full year left in office. McConnell’s announcement was audacious, coming as soon as it did after Scalia’s death. Even some Republicans derided it as inappropriate. To fill the vacancy, Obama nominated veteran US appeals court judge Merrick Garland, a sixty-three-year-old former prosecutor with a record of moderate rulings. Obama considered Garland a compromise candidate who would be acceptable to enough Republican senators that the chamber’s leadership would hold hearings and put his name to a vote. But McConnell and fellow Republicans who constituted the majority took no action on Garland’s nomination. Roberts, always careful and strategic, was silent about this vacancy, and he remained so. He knew that the Court would be hobbled with just eight justices, and that 4–4 deadlocks could become common. He waited and watched. Hillary Clinton, who became the Democratic presidential nominee that summer, was expected to beat Republican candidate Trump, a political novice known for his incendiary statements and outrageous behavior. It was widely assumed in Washington—including by Roberts—that a Democratic appointee would eventually join the Court. Liberals on the bench and beyond were still planning for a new Court. “She is bound to have a few appointments,” Justice Ginsburg said of Clinton, based on the advanced ages of some of the justices. Liberal advocates began strategizing about litigation to reverse conservative trends on various issues, such as campaign finance law. But, of course, that did not happen. On Tuesday, November 8, 2016, nine months after Scalia’s death, Roberts was again with his family. This time they were at his Chevy Chase, Maryland, home. It was election night. National polls still favored Clinton. Commentators were predicting an early evening, with initial results in favor of the Democratic candidate. By 8:00 p.m. on the East Coast, the networks reported that Maryland was going, as predicted, for Clinton. But there seemed to be something unusual happening in Pennsylvania, where Roberts’s ancestors had settled. Trump was overtaking Clinton in the state, and Michigan and Wisconsin appeared to be tipping in his direction, too. As did Florida. The notion that liberal justices would control the Supreme Court for the first time in four decades gave way to the reality that Chief Justice Roberts would get his conservative Court back. Trump declared victory just before 3:00 a.m.
Later that morning, when the justices gathered in a private robing room before taking the bench for oral arguments, Ginsburg, in subtle protest, was wearing a black collar with silver crystal accents over her robe. It was the collar she reserved for days when she would offer a dissenting opinion. Although it annoyed him, Roberts said nothing to her about the obvious gesture of political opposition. After he emerged from behind the red velvet drapes and took his chair, he announced the morning case, No. 15-1191, Lynch v. Morales-Santana, a dispute over citizenship rights. There was no sign that Roberts had stayed up late watching the returns. His voice was crisp. Roberts has an uncanny ability to size up a situation and calibrate his responses. His longtime associates compare him to a master of three-dimensional chess who anticipates all the possible moves his opponents might make. “John Roberts has always seen everything with pristine clarity, and almost instantly,” said J. Michael Luttig, whose career paralleled Roberts’s from the Reagan administration to the federal appellate court level to the day in July 2005 that they were both interviewed by President George W. Bush as part of the nomination process for the Supreme Court. The chief justice is appointed for life, as are the eight associate justices. Like each of them, he is entitled to a single vote on cases. But the chief justice has special authority to oversee oral arguments and set the agenda for the justices’ private sessions. He regularly decides who writes the opinions that become the law of the land. As such, the chief justice has been called “the first among equals.” To appreciate the influence of a chief justice, one need only understand that while there have been forty-five presidents of the United States, there have been only seventeen chief justices. The chief justice position is mentioned only once in the Constitution, and that mention is not in Article III, which establishes the judiciary. It is in Article I, covering Congress, and says the chief justice presides over the Senate during any impeachment trial of the president. The power of the position has grown over time and today the chief justice runs the Judicial Conference of the United States, a group that sets policy for federal courts nationwide. The chief justice also chooses the individual judges who sit on the Foreign Intelligence Surveillance Court and other select panels. Even from the beginning of his tenure, Roberts could count on four like-minded votes for most of his positions: those of Scalia, Kennedy, Thomas, and Alito. Of course, Kennedy split off on some social issues, most notably involving gay rights and abortion. But Roberts prevailed, with Kennedy’s vote, to eliminate campaign finance regulations, erode the federal Voting Rights Act, and expand opportunities for the expression of religion in public places. Two decisions that defined the Roberts Court were the 2010 Citizens United v. Federal Election Commission and the 2013 Shelby County v. Holder. Respectively, these rulings made it easier for corporations and labor unions to influence the outcome of elections and sharply reduced the ability of African Americans and other minorities to block discriminatory electoral practices. Shelby County capped Roberts’s decades-long effort (sometimes obvious, sometimes subtle) to limit the reach of the Voting Rights Act. Those and a series of other 5–4 rulings, including the decision that would transform labor union funding in June 2018, buttressed the perception that the Court majority was politically motivated and that Roberts was engaged in the partisanship he claimed to abhor. If the chief justice had a single message for the public, it was that the Court was above politicking. “We don’t work as Democrats or Republicans,” he told one audience in 2016. Roberts has almost always had perfect timing. When he came to Washington in 1980 and teamed up with Dean Colson in Rehnquist’s chambers, conservatism was on the rise. He participated in the Reagan and George H.W. Bush administrations’ efforts to select individuals for the federal bench who fit their agenda of less government regulation and less intervention on social issues to help the needy. Indeed, behind Roberts’s affable demeanor and his calibrated opinions is a judge with deep ideological roots. Like other conservatives, Roberts believes in a “color-blind” approach, and therefore favors an end to affirmative action and other racial remedies launched in the 1960s. “The way to stop discrimination on the basis of race is to stop discriminating on the basis of race,” he wrote in an opinion soon after becoming chief justice. He likened the programs that benefited minorities to the segregation that was prohibited in the landmark 1954 decision in Brown v. Board of Education. 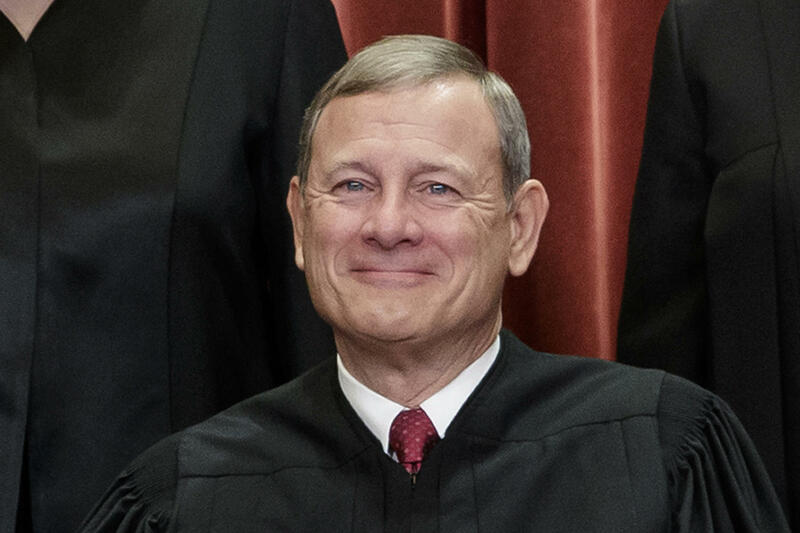 Yet Roberts has at times set aside his ideological and political interests on behalf of his commitments to the Court’s institutional reputation and his own public image. In 2012, when he voted to uphold the healthcare overhaul known as the Affordable Care Act, sponsored by President Obama, he outraged conservatives. He had, in fact, first voted behind closed doors with other conservative justices to invalidate the law. But then he changed his vote. That episode, involving not just one but a series of switched votes, revealed in full for the first time, forms a central part of this book exploring the work and motivations of the most powerful judge in America. It is also an example of one of two possible paths now before Roberts: to hew even more to his conservative roots or to work for common ground. At sixty-four, Roberts is grayer, although he still has the upright carriage that makes him look taller than his five feet and nine inches. He moves with tight discipline, arms close to his sides, shoulders squared. He favors white dress shirts, nondescript ties, and gold cuff links. When he addresses audiences outside the Court, his core message remains the same: the justices do not advance political positions. “First, I want to point out one thing,” he said in an appearance following the Senate’s confirmation of Neil Gorsuch for the long-vacant Scalia seat in April 2017. The celebrated former advocate, who seemed to be able to persuade anyone of anything, said that over and over again. Now in his fourteenth year on the Court, Roberts could preside for another two decades. Where Roberts goes, on a bench no longer steadied by Justice Kennedy, in especially turbulent times, will likely be determined by where he has been. He now sits at the exact center, the determinative center, of the law in America. Adapted from The Chief: The Life and Turbulent Times of Chief Justice John Roberts by Joan Biskupic. Copyright © 2019. Available from Basic Books. NPR: “In ‘The Chief,’ An Enigmatic, Conservative John Roberts Walks A Political Tightrope” — “There have been 44 presidents in the nation’s history, but just 17 chief justices. Some of the men who presided over the U.S. Supreme Court were enormously influential. Others, not. The chief justice today, John G. Roberts Jr., has already served for 14 years and, at age 64, he could well serve for another 20. “Roberts remains an enigmatic figure. He is a committed conservative who has been publicly reviled by conservative politicians. He is a conservative who is the last best hope of liberals and moderates who dream, probably in vain, that he will significantly temper the court’s turn to the right. “His public persona is charming, funny, and unrevealing.